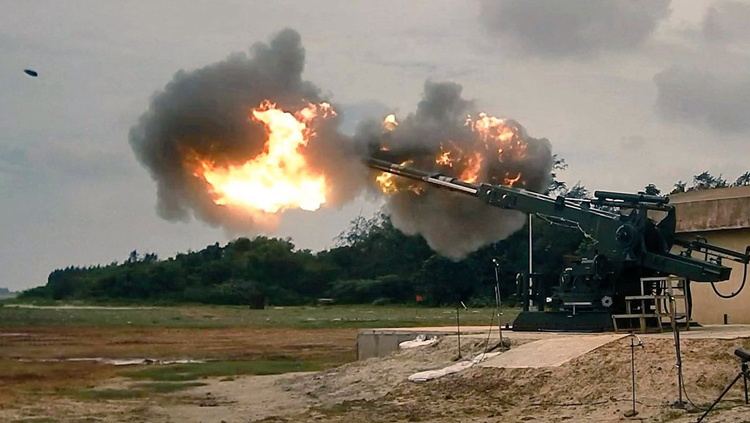 The DRDO-indigenous private industry Advanced Towed Artillery Gun System (ATAGS) has arrived on the scene with a bang. 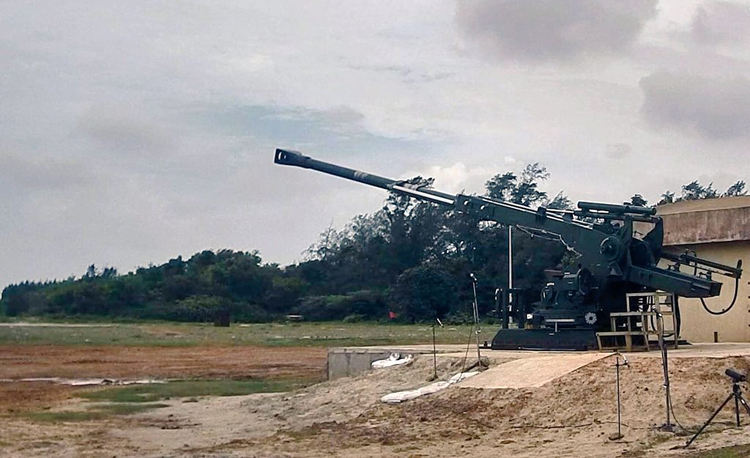 The ATAGS is a 155mm, 52-calibre gun-howitzer being developed on two parallel tracks – one prototype in partnership with Tata Power (Strategic Engineering Division) and another with Bharat Forge. During the firing trials at Pokhran Ranges on September 2, the indigenous ATAGS broke the record by firing special long-range high explosive base bleed (HE–BB) ammunition to a range of 37.2 kms. But the surprise came next day on September 3 when the ATAGS fired three shells out to a world-record distance of 47.2 kms from the gun position; in comparison, 155mm, 52-calibre guns in service worldwide fire this ammunition to maximum ranges of 40-45 kms, also using HE–BB ammunition. Another global first in the ATAGS is its all-electric drive, which supersedes the more unreliable hydraulic drives in other towed guns. The all-electric drive operates all the ATAGS gun controls: ammunition handling, opening and closing the breech, and ramming the round into the chamber. Besides, ATAGS is the world's only gun with a six-round automated magazine that fires a six-round burst in just 30 seconds. Most other existing 155mm, 52-calibre guns have three-round magazines, which must be reloaded after firing three rounds. The prototype that broke the record was the Tata Power (SED) gun. The longer range of the ATAGS is because of its larger chamber since a larger chamber packs in more high explosive propellant, which shoots the warhead to extended distances. The ATAGS, therefore, allows more areas to be engaged from the gun position without having to redeploy (or shift) the gun; Range, accuracy and consistency are the key attributes of an artillery gun. The ATAGS chamber has a capacity of 25 litres; larger than similar category guns in the French and Israeli armies, whose chamber is 23 litres. The larger chamber size of ATAGS implies a bigger projectile can be fired from the gun, and therefore much more damage a round can inflict on the target. The ATAGS has a weight of 17-18 tons compared to its contemporaries in other armies weighing 14-15 tons. However, this increase in weight is not a disadvantage when the gun once deployed need not shift position post firing because of its extended range. A high "burst fire" capability will provide the Army a significant advantage since artillery causes most casualties in the initial burst of fire, when enemy soldiers are caught in the open, not after they take cover or hide in trenches. The present round of summer trials of ATAGS having been successfully completed at Pokhran, preparation have commenced for the winter trials to be held during December, most likely in mountains / high altitude area. Each vendor will build three more ATAGs gun prototypes to expedite trials. As per reports, once all the trials are successfully completed, the Army is likely to procure some 2,000 ATAGS at estimated 15 cr per piece. The ATAGS, both prototypes of which were part of the parade on January 26 at New Delhi this year, is excellent development for India's defence. Logically, it should be able to complete all the trials smoothly. The ATAGS looks similar albeit bigger that the Bofors FH-77B, the 'Dhanush' being the modified version of the latter. It may be recalled that India had imported some 400 x Bofors FH-77B from Sweden 'with transfer of technology (ToT). The infamous 'Bofors Scandal' resulted in acquisition of spare parts and assemblies of the gun from Sweden, forcing cannibalization of these guns in 1999 to repel the Pakistani intrusions in Kargil. However, why we did not develop the gun indigenously having "paid" for the ToT and sitting on it for three decades pus is ironic. DRDO's excuse that "Army did not ask for such indigenous gun" is inexcusable, where scores of developments have been undertaken without reference to the military, and in some cases even without government sanction, as reported in various CAG reports. The Armed Forces are blamed for suffering from "importomania" and changing qualitative requirements (QR) periodically. But why would Armed Forces do so if the DRDO produced quality products? Why did the chapter of defence on the website of Ministry of Commerce & Industry read throughout 2014 that "50% of equipment held by our military is obsolete and 33% supplied individually is sub-standard"? Isn't the latter direct indictment of the DRDO? In countries like US and Japan there is nothing equivalent of DRDO, yet they are able to produce large weapon platforms like ship or aircraft in 10-12 years. Compare this to our country where even the INSAS rifle took 15 years of development but the end product was nowhere in the top ten in the that category in the world. So why QRs would not be revised periodically – would that be necessary if products met deadlines? Finally, it is not the Armed Forces that head the Defence Procurement Board. All controls rest with the MoD whose joint secretaries are on all boards of the DRDO-DPSUs-OF. The game has been to invent the wheel afresh, not meet deadlines, resulting in criticalities by design or default. The end result is imports, in bulk during conflict situations, benefiting in huge amounts of money passing hands. It is this set up that is afflicted with importomania, blaming it on the military is deflecting the issue. 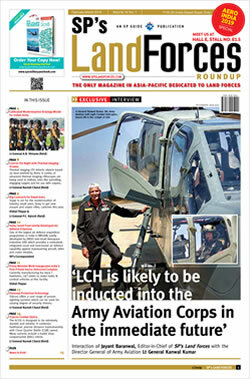 The Defence Minister needs to review the issue holistically. The ATAGS development is good, but 'patchy' bringht spots is not the need of the hour.